Sometimes a 1/4 Watt resistor just doesn’t cut it – for that reason we have theses 1/2 Watt resistors. 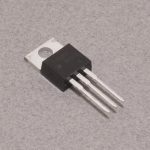 These specific resistors are 1K ohm and breadboard compatible. SKU: RES-001. Category: Resistors. Tags: Component, Light Packet, Resistor.